I graduated from York University with a Specialized Honors Degree in Kinesiology in Health Science. I’ve been blessed with the opportunity to work in diverse environments that have both challenged me and helped me grow in my profession as a Registered Kinesiologist. A health promotion role with the Region of Peel and diabetes centre at Credit valley hospital; I have developed a profound understanding of working with families and children of all ages. My experiences in cardiology diagnostics and cardiovascular rehabilitation have given me the confidence to program for patients/clients with various cardiac and diabetic health concerns. 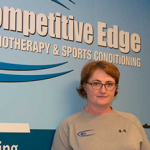 Since opening Competitive Edge Physiotherapy, I have had the pleasure of working with over 50 national, NCAA, CIS/OUA athletes and integrated them into their respective universities and national programs. 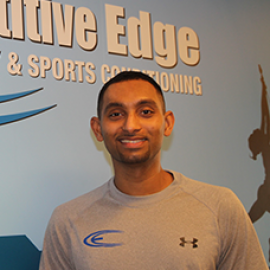 I have taken pride in creating a safe and conducive training environment here at Competitive Edge Physiotherapy to allow our aspiring athletes develop their physical and mental skills as well as good training habits for their respective sports. Since my days are so active and busy I spend my free time kicking back and hanging out with the family. 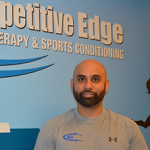 I look forward to working with you to achieve your health, sport and fitness goals.